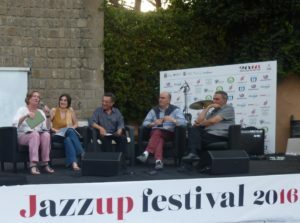 venerdi 6 marzo alla Prefettura di Viterbo, con Capo Ispettore Felice Orlandini e Fabiano Fagliari Zeni Buchicchio. 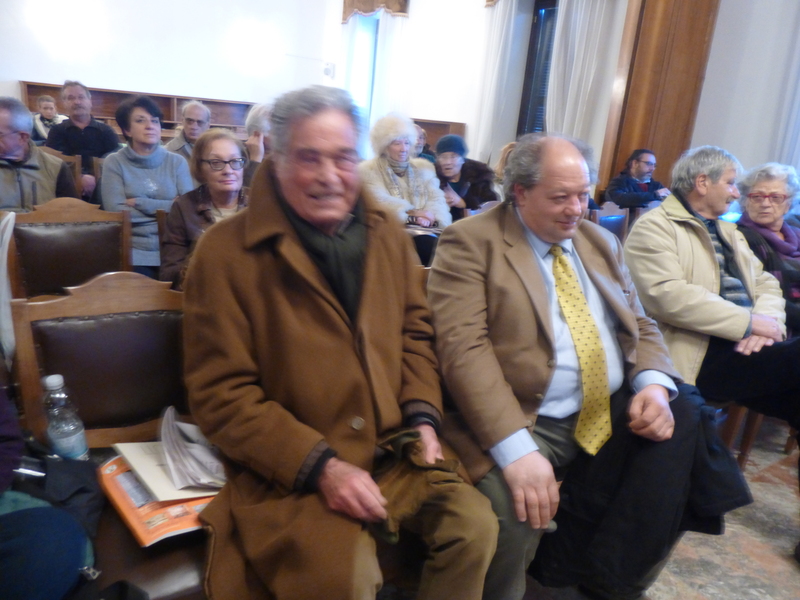 Sponsored by Archeotuscia. 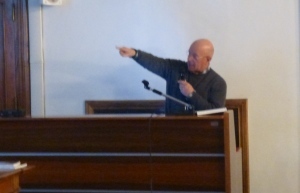 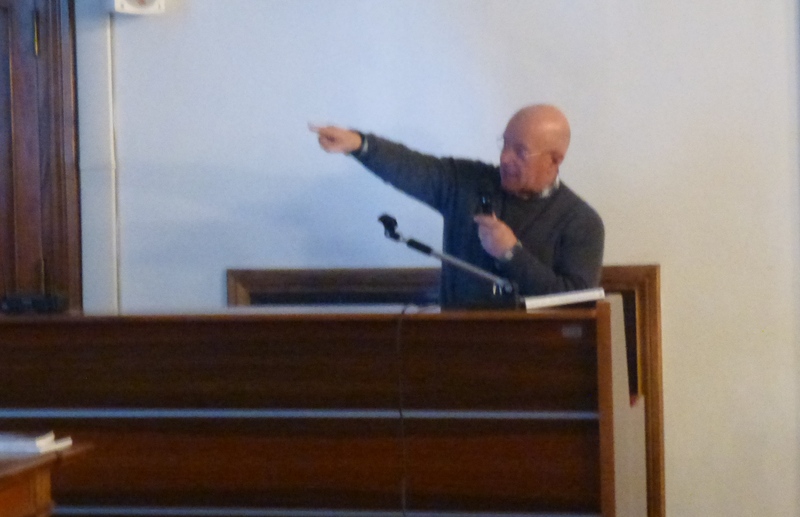 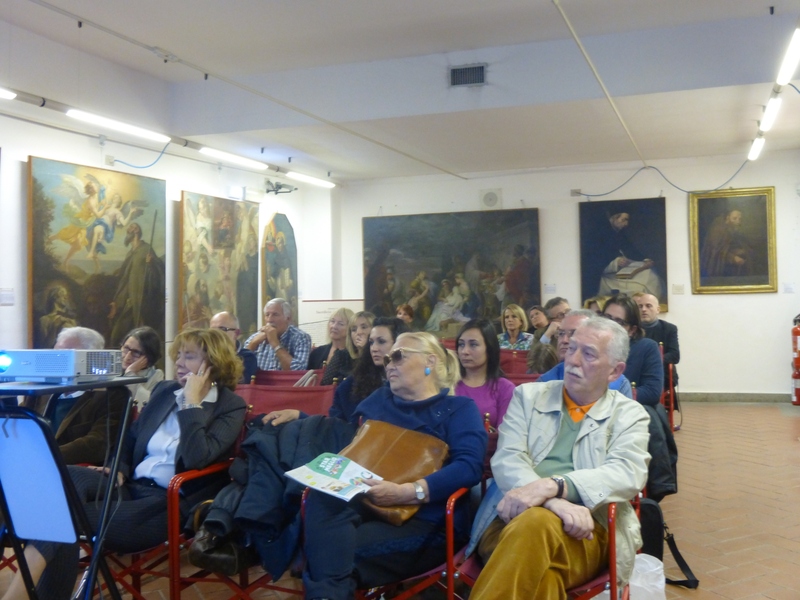 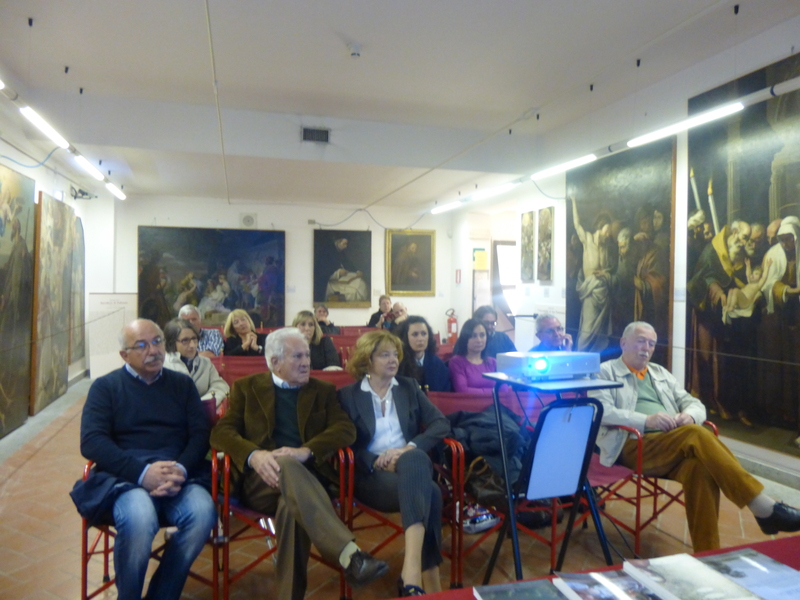 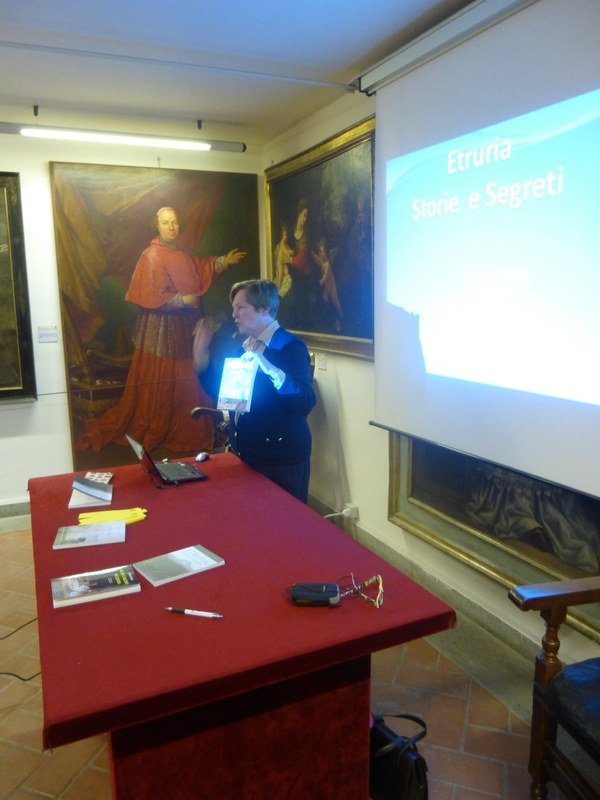 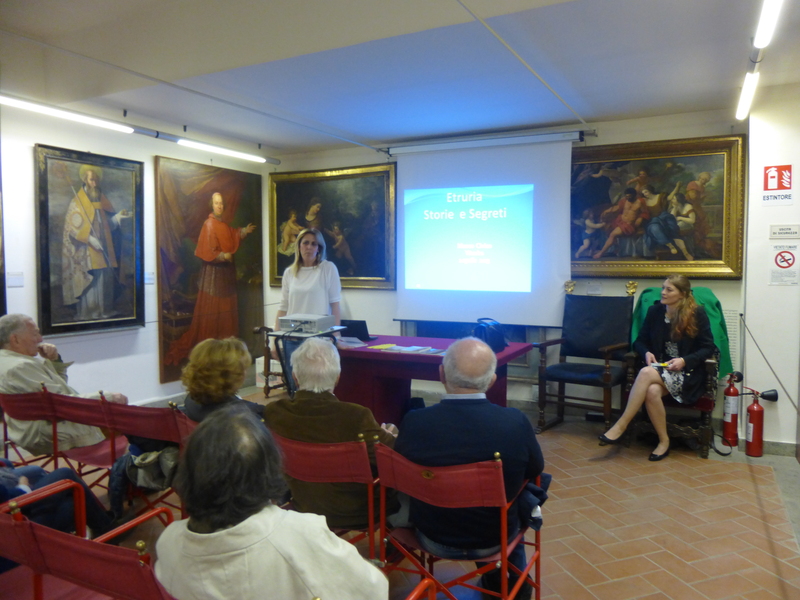 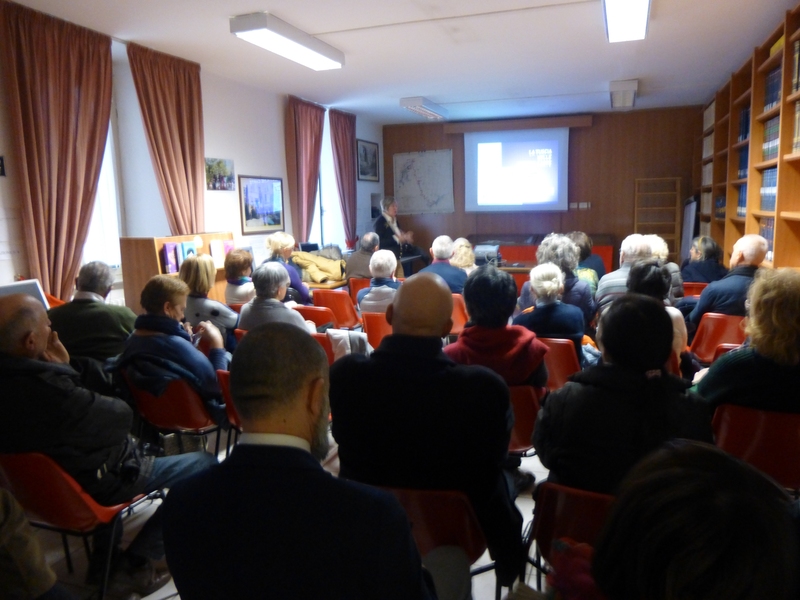 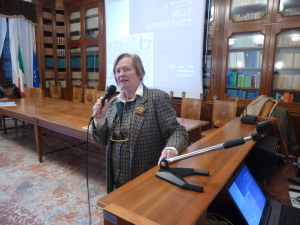 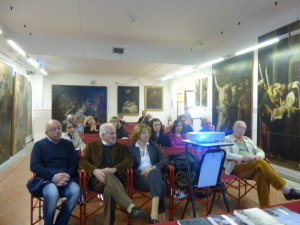 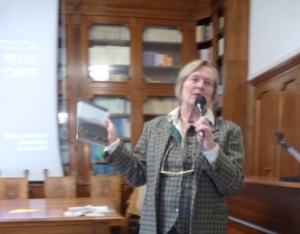 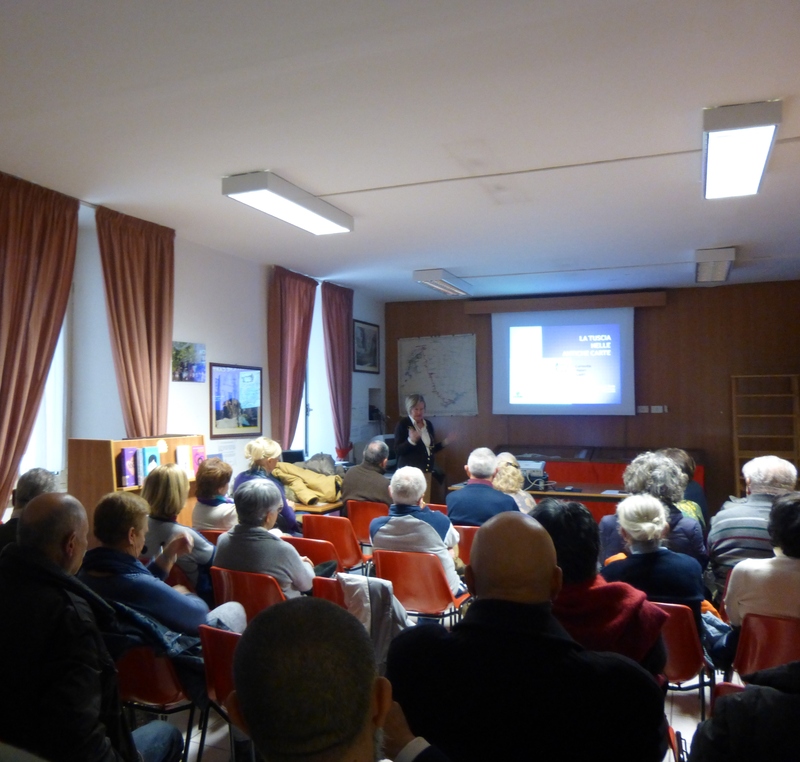 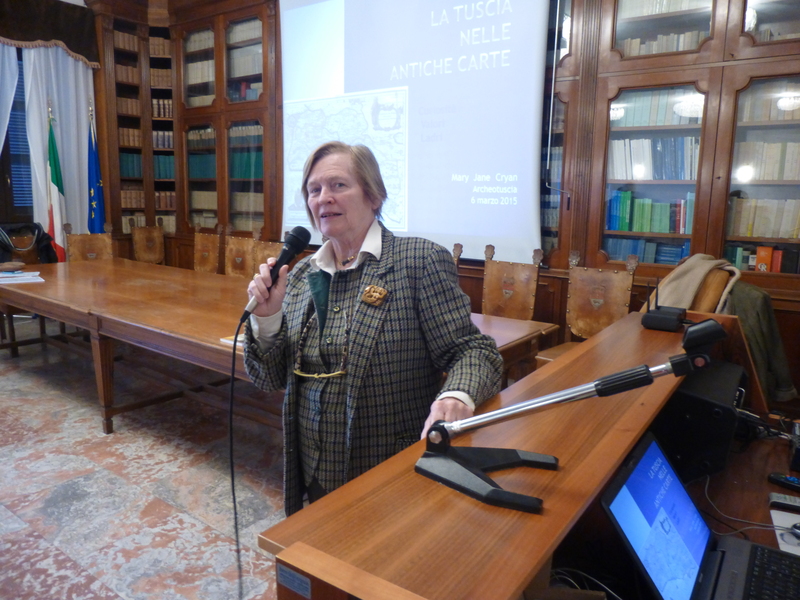 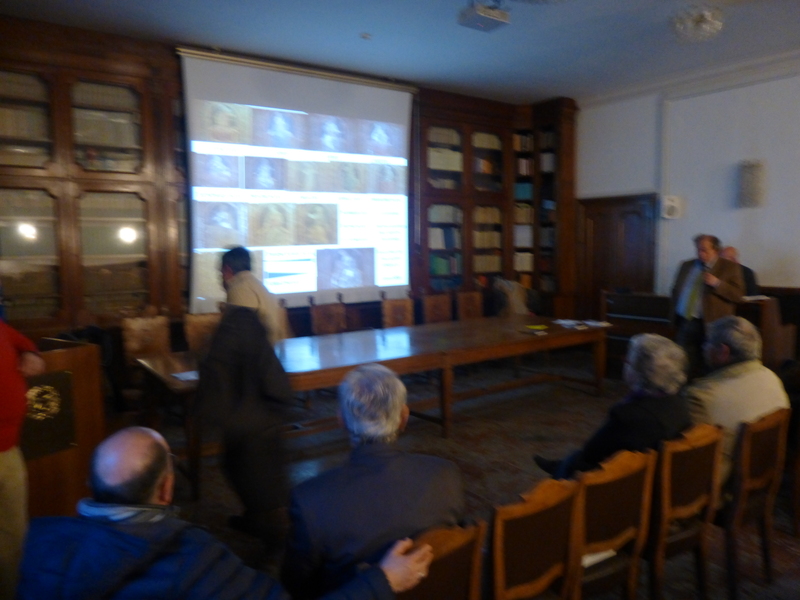 A large crowd of people from Viterbo, Rome, Vetralla, Montefiascone, Soriano and other surrounding towns braved the stormy evening and filled the conference hall of the Prefettura to hear Mary Jane Cryan speak on antique maps of Tuscia and central Italy. 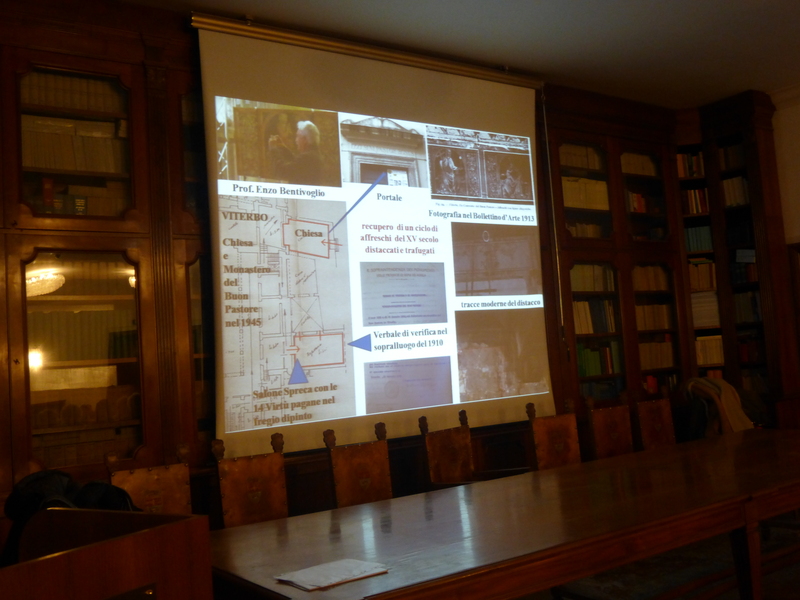 The illustrated talk included curiosities, values and stories of thieves of antique maps and books. 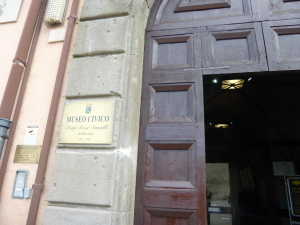 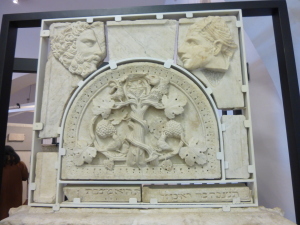 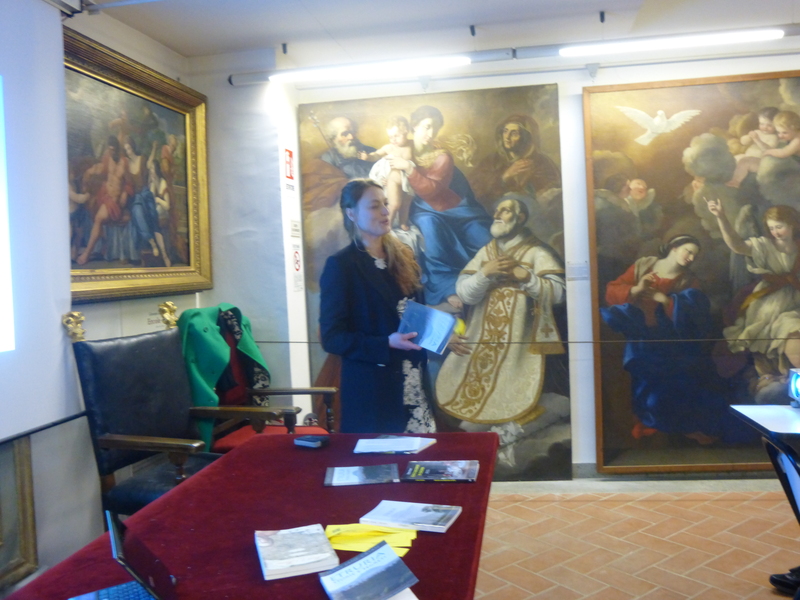 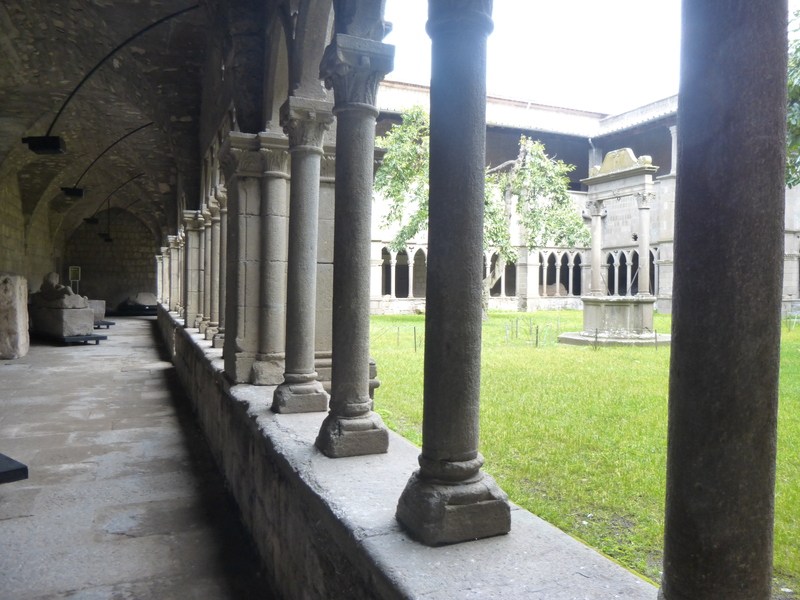 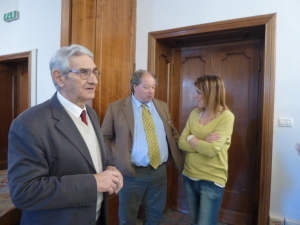 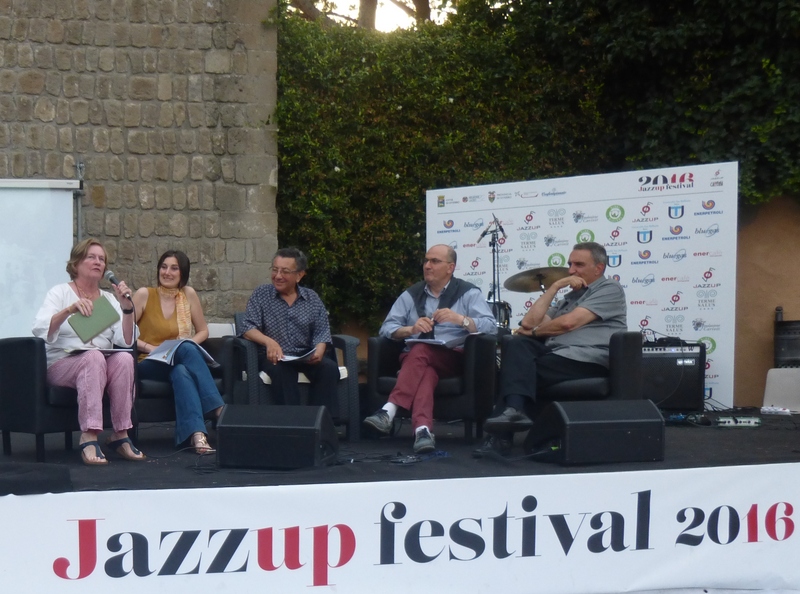 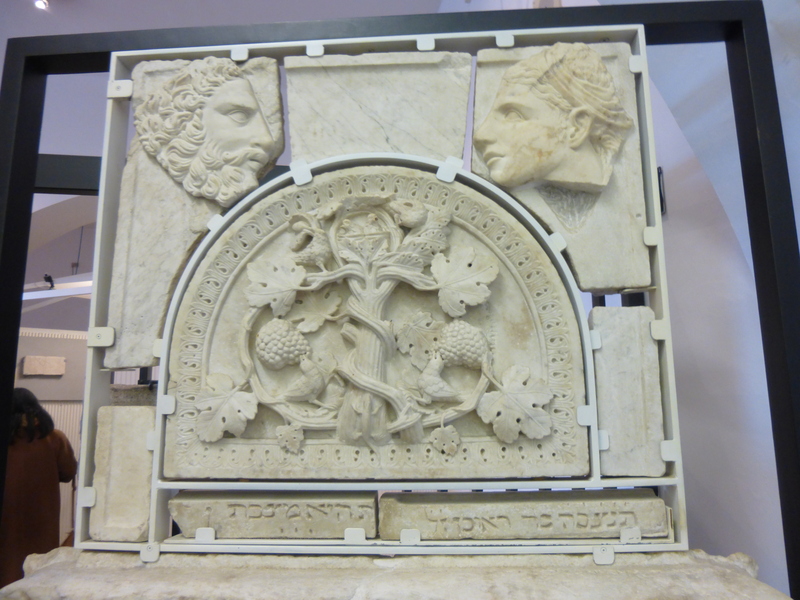 Chief Inspector Felice Orlandini told of his difficult work of recuperating stolen art works in the area and art historian Prof. Fabiano Fagliari Zeni Buchicchio explained the importance of the recent operations. 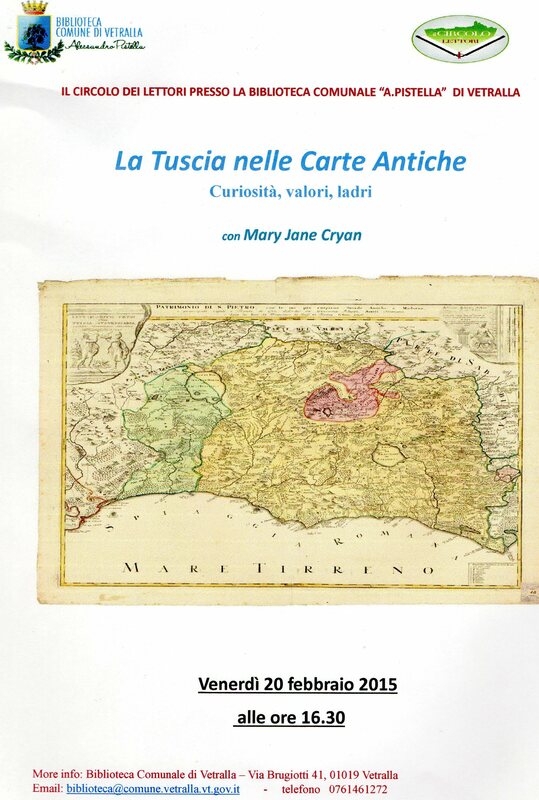 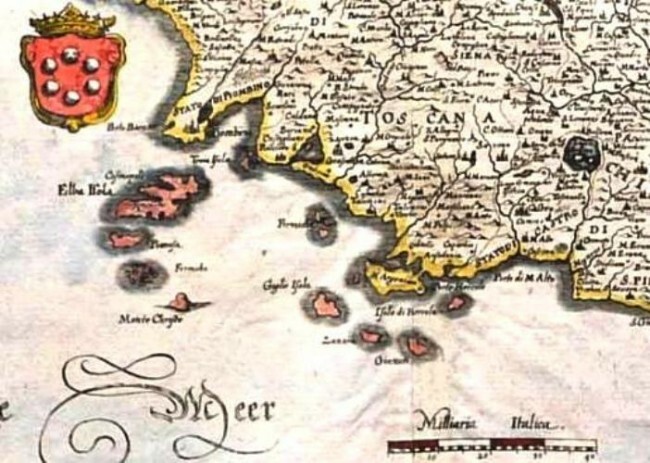 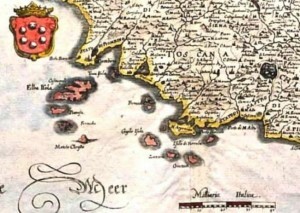 February 20, 2015 4:30 p.m.
Biblioteca di Vetralla, Library of Vetralla, illustrated talk in Italian, “Prima di Google: Tuscia nelle Antiche Carte” Com’era l’Italia Centrale sulle antiche mappe. Curiosità, valori, collezionismo, ladri di carte antiche. 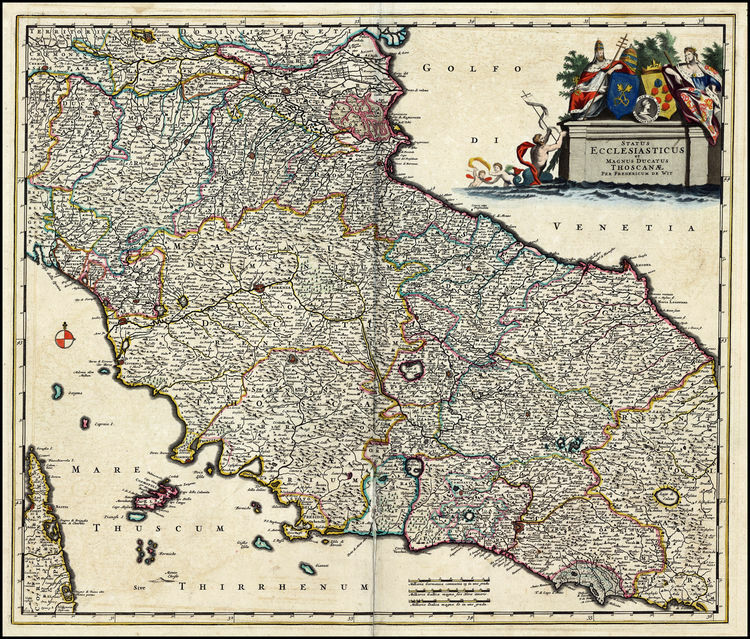 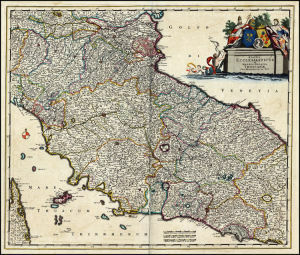 How central Italy was portrayed on old maps, curiosities, values, map thieves.